“This is so very sad, and so easy to stop." 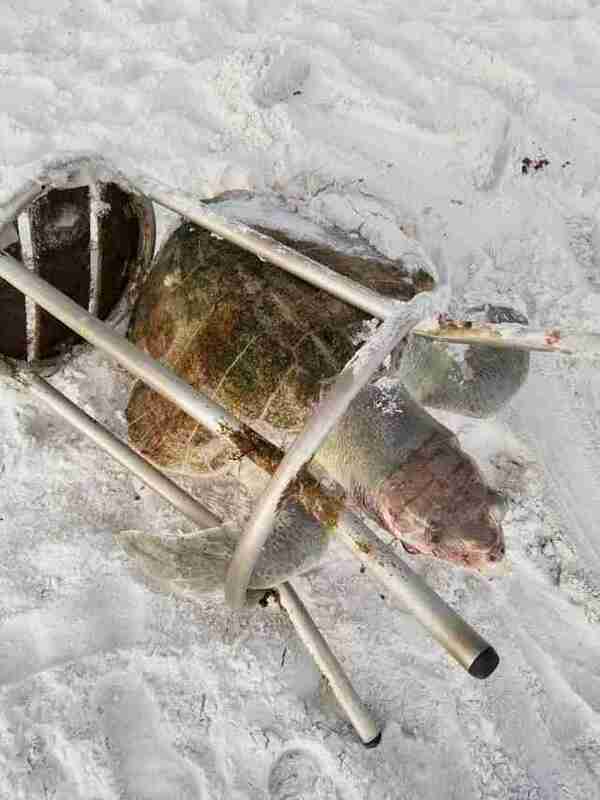 Earlier this week, a young female sea turtle was found on a beach in Walton County, Florida, trapped between the rusted metal legs of a barstool. Members of the South Walton Turtle Watch, a group that works to protect local sea turtles and nests, responded to a beachgoer’s report, but hopes of saving the turtle quickly disappeared when they realized just how long she’d been trapped in her small metal prison. 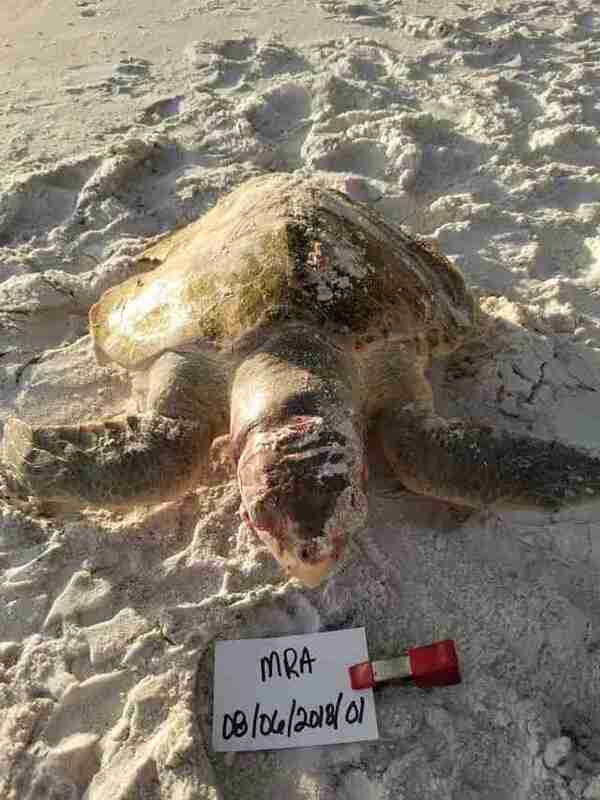 It’s believed that the Kemp's ridley sea turtle, a critically endangered species, had been pulled underwater by the weight of the stool, and subsequently drowned. “We could see no cause of death and think it was due to drowning, as it could not keep its head above the water,” Sharon Maxwell, a member of the South Walton Turtle Watch, told The Dodo. Despite the fact that the turtle had passed quite some time ago, the members wanted to free her. Once the turtle and the stool were separated, the stool was examined for some sign of its origin, but none were found. Kemp’s ridley turtles often hunt for crabs in shallow coastal areas, and due to the location of their hunting grounds, become entangled with marine debris, fishing nets and other gear. The stool was most likely just another piece of refuse floating off the coast. And when garbage is left behind, turtles are the ones to suffer. 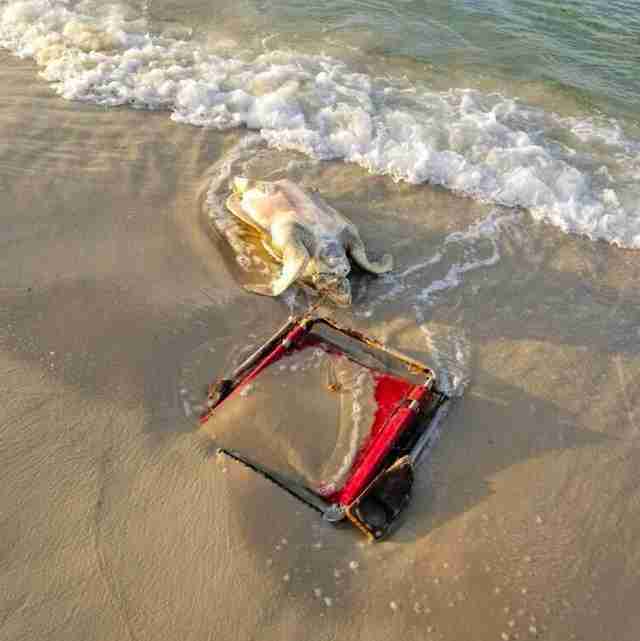 Earlier in the summer season, a member of the same species washed up in Fort Morgan, Alabama, tangled in a forgotten beach chair. Making sure the beach is clean means more than just picking up trash, the South Walton Turtle Watch warns; it also means covering holes in the sand that were dug during the day — especially in locations where female turtles are nesting. “In our county, we had a large nesting female loggerhead fall into a hole during the night and we had to get lots of help to get her out the next morning,” Maxwell said. The group has also been patrolling the beaches at night to ensure that tourists don’t shine bright lights at turtles to get a better look. With only 7,000 nesting females left in the wild, a chance to breed safely could be the species' only hope of survival. 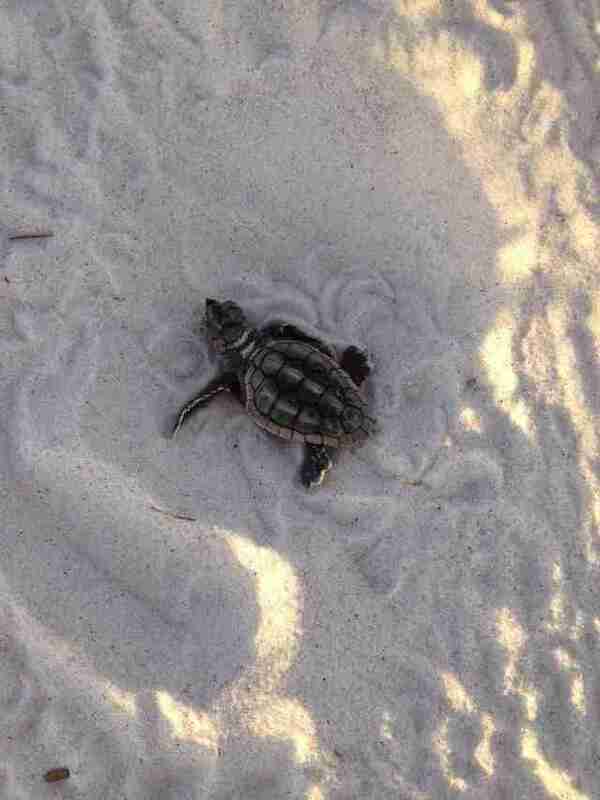 Those who live in Northwest Florida can learn how to volunteer with the South Walton Turtle Watch here. To help protect sea turtles, you can make a donation to Sea Turtle Conservancy.